Raise up, Miami! We’ve finally bested New York at something other than basketball and money laundering. That’s right, according to a report from Zillow.com, we now rate just behind those bastions of affordability, LA and San Francisco, as the third-least affordable rental market in America. The average Miamian shelled out 43.8 percent of his or her income on rent last year, even though the Consumer Financial Protection Bureau recommends spending only 30 percent... which, when looking at median incomes in Miami-Dade, means we SHOULD be spending about $1,000 a month. But what is that money getting you if you don’t want to live with roommates? 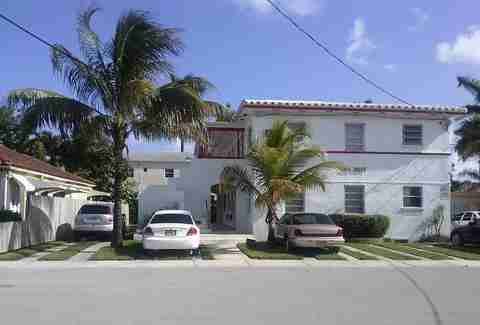 We took a look on Trulia.com to see what rents for $1,000 a month in different Miami neighborhoods, and only a handful even had options. So we took our search up to Broward and Palm Beach. In 14 South Florida neighborhoods, what can $1K net you in terms of a roof atop your head? The answer is: not much. You’re probably seeing an apartment in The Roads for under $1000 and thinking to yourself, “Let me guess: it also comes with my very own pet unicorn.” But unlike the mythical one-horned beast, this 600sqft 1/1 actually DOES exist... and with FPL and cable included. 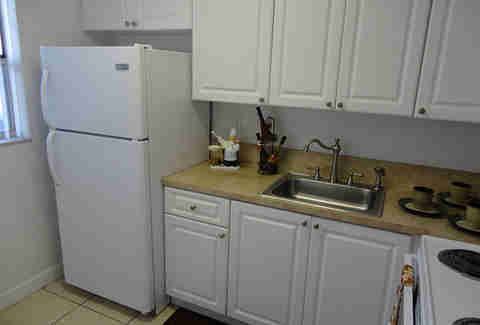 Of course, your power bill probably wouldn’t be that high anyway because... this apartment doesn’t have a kitchen. There’s always a catch. So you’d better start familiarizing yourself with this list now, because unless you’re really into microwavable pizza, you’re gonna need it. If we told you your new home was in a building that looked like this, and your room was 325sqft, you’d probably think you were unknowingly convicted of a felony. But aside from having to explain to your dates that you do not, in fact, live in a correctional facility, this apartment looks clean and modern from the one picture on Trulia. It’s also not in the part of the Grove you think it is when you see the rental price, located just off US-1 by Virginia St. And if you’re that Miamian who’s perpetually talking about moving to New York, this is a solid warm-up. The words “Upper East Side” should never be used by any self-respecting Miamian to describe anywhere outside of Manhattan. So we’ll call this area what it really is -- Little Haiti -- and tell you that for $900/month, you can get a pretty nice 900sqft 1/1 in the fabulous Sea Mist building. A quick perusal through the pictures shows nice, off-white, never-shows-dirt tile floors with big closets and modern appliances. And as all the cool new bars and restaurants open up along NE 79th St, chances are rent here won’t be under $1000 for long. If you ever find yourself crawling through the clearly drug-induced design of the Golden Glades and thinking to yourself, “Boy, it sure would be nice if I lived, like, RIGHT HERE so I’d never have to sit in this mess again,” good news! For just under a grand a month, you can live in a bright, spacious 1/1 that is honking distance from Miami’s biggest traffic nightmare. For $955 a month, you get 625sqft in a new-ish building, where you can sit back, crack a beer, and look at all the poor, miserable people on the highway. 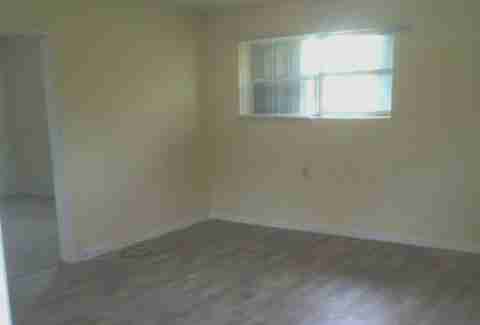 Only people in the vacation phase of living in Miami would believe there’s a beach anywhere near NE 6th Ave and 152nd St. Then again, that lack of oceanfront is probably why you can get this newly renovated 1/1.5 at the Ola Condominiums for $1,000 a month. 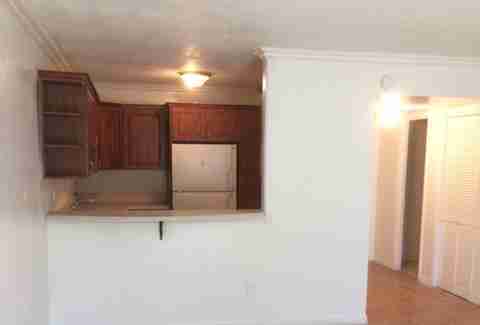 The unit is 740sqft, and has what seems to be granite countertops and new appliances. Your balcony has a nice view of a banyan tree and a fountain in the courtyard. And you’ll forget the beach is six miles away when you’re lounging at the complex’s resort pool. Residents of North Beach are going to be soooo pissed we’re spilling the beans, but yes, you can, in fact, find apartments walking distance from the beach for under $1000. 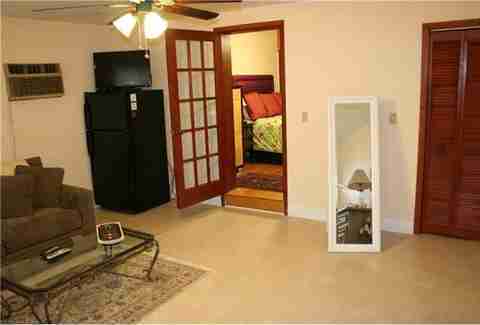 Of course, the word “apartment” is used pretty loosely here, as most of the listings are for efficiencies and studios. This one is described as having “hardwood-type” floors and “newer appliances," very relative-sounding terms that probably mean the floors look like wood if you squint hard enough, and the kitchen was updated some time after this building opened in 1936. If you’re willing to deal with the perpetual mall traffic and drivers who were born sometime in the Taft administration, a thousand bucks gets you something pretty decent in Aventura: 550 whole square feet to yourself in a modern building, with amenities like tennis courts, a pool (with waterfalls! ), and a fitness center. Will it be furnished like this? Not unless you’re spending your rent savings at West Elm. 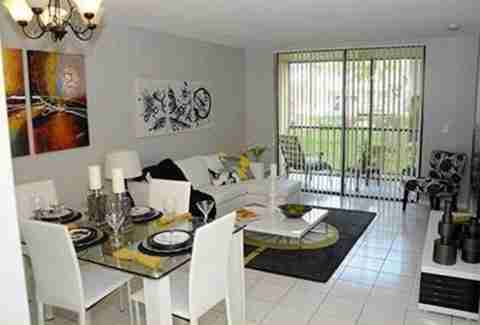 But if you’re OK with studio living, this is one of the best deals in Dade. The 7160 building advertises itself as the most “convenient and affordable apartment in Liberty City.” The neighborhood might be a little rough around the edges. 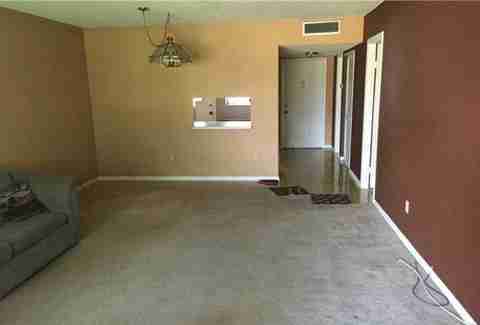 But if that’s not really a concern, $1,000 gets you the top of the line here; a 3/1 that sprawls over 900sqft. 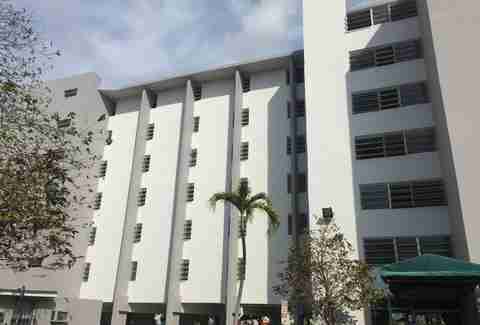 The building also has a full-time maintenance crew, and operative air conditioning... which is apparently kind of important if you live in South Florida. When you get tired of explaining where exactly Ives Estates actually is, you can just lie and say Aventura (or Miami Gardens, if you want some street cred). This area between US-1 and I-95 south of Ives Dairy Rd is a surprisingly nice neighborhood. 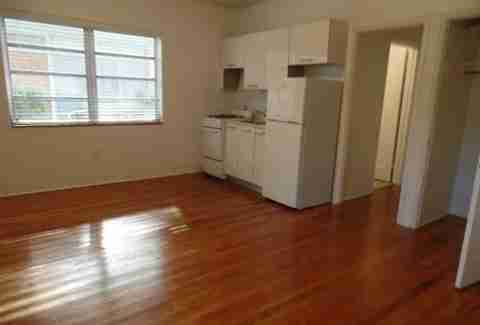 And though it’s not convenient to much other than the freeway, for $1,000, in this neighborhood, you can get an apartment like this: a carpeted 1/1 with chocolate brown & golden walls, plus a ton of closet space and a fairly modern kitchen. If you’ve got dreams of living by the water in South Florida’s only real beach town, all you’re getting for $1,000 is a room in a low-rise house. 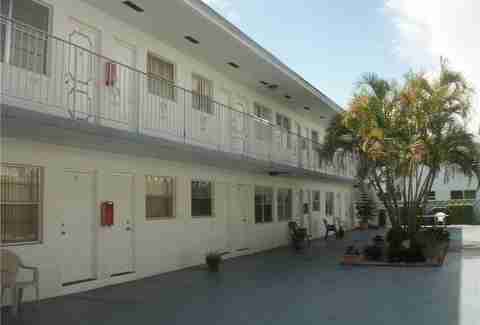 If you want a place to yourself, you’re more than likely in a place like this; a mid-century, fairly nondescript condo just off I-95 that’s 562sqft of tiled floors, white walls, and walk-in closets. So if proximity to the freeway is more important to you than, well, proximity to anything else, this is a great option. 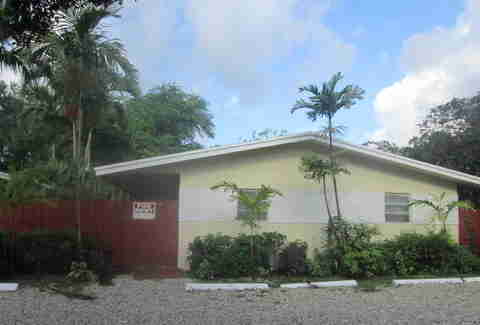 Though it’s NEVER a good sign when all the pictures online are taken with a fish-eye lens, it is a good sign that you can live just off Oakland Park in fabulous Wilton Manors for under $1,000 a month. 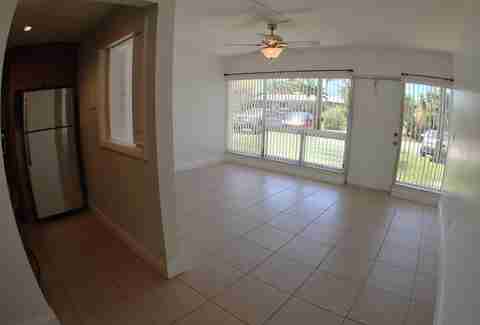 This ground floor unit is only 568sqft, with new appliances and tile floors. And while it’s not the most spacious apartment you’ll ever live in, it’s still bright and clean and pretty convenient to the freeway. The ability to saunter home from Riverside Market -- one of the 33 best beer bars in America -- is reason enough to plunk down the $990/month for this newly remodeled gem. But the upgrades in this place are also pretty impressive; all-new appliances, granite countertops, sleek tile floors, crown molding, and a washer/dryer included. Combine all of that in an area that’s kind of like Ft. Lauderdale’s answer to Coconut Grove, and this is one of the better deals in Broward. Long before the internet let you rent out bedrooms from total strangers, there were “vacation rental apartments.” Those of us who had parents who didn’t want to spring for hotels got to know them painfully well on Florida vacations. Relive those glory days of discount lodging in this flamingo-pink high-rise on the Intracoastal, where $1,000 a month gets you a 450sqft studio and access to the waterside pool. Caution: no pictures of the actual units were available. 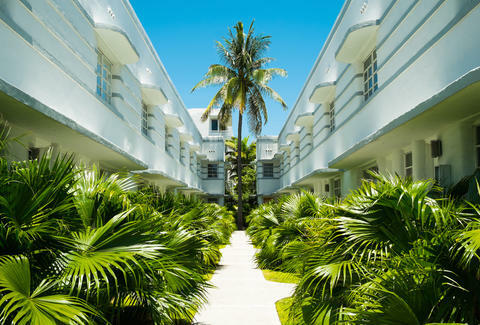 Most of the hip $1,000/month options in Delray Beach are in places where the word “hip” is typically followed by “replacement.” So if you’re reading this and over the age of 55, you’ve got options aplenty. 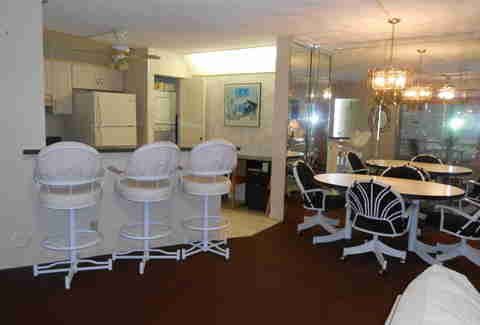 However, if you were born after 1961, your best bet is this furnished spot with mirrored walls just east of the turnpike on Atlantic Ave. No, your dreams of beachside 561 livin’ aren’t going to come true for $1,000 a month. But at least you won’t have to worry about noisy neighbors. Matt Meltzer is a staff writer at Thrillist who lives in Miami. Follow him on Instagram @meltrez1.